Air conditioning units can be expensive to maintain. This is why many people put off bringing a professional to take a look at a problem until it is much worse than it was at the beginning. 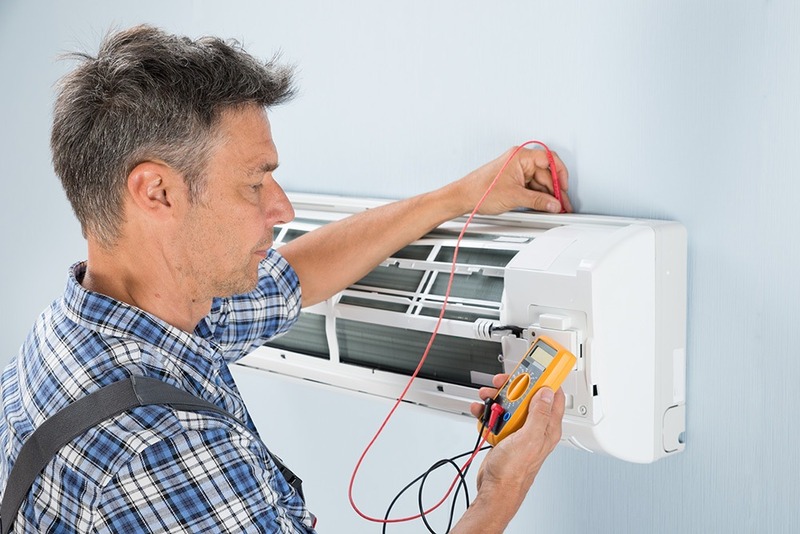 Although there are some air conditioner issues that you can sort out yourself, there are some things that indicate that you need a professional repair. Let’s take a look at ten in particular. If your air conditioner gives you issues just about every month, there’s a chance that it needs to be replaced. In general, air conditioner maintenance should not be required too often. However, there is a need for regular maintenance at the change of each major season. But if your air conditioner is persistently faulty, you may save more money by getting a new one rather than wasting money on costly repairs every month. As soon as your AC unit begins to blow air that is just not cold enough, you should know that it is time to call in the HVAC professionals. In fact, the air doesn’t even need to be ”warm” for it to raise alarm bells. If you find your unit struggling to keep your home cool during the hot months, there is definitely an issue with it. If your air conditioning unit begins to leak or you find an excess amount of moisture around the unit or piping, there is an issue that needs attention. It could be a minor issue such as a drain tube blockage and a buildup of excess condensation or a problem with leaking refrigerant. But whatever it is, it needs to be fixed as soon as possible to avoid mold growth in your home or any other major problems. The air conditioning thermostat is what controls the operation of your AC unit. It tells your air conditioner how much cool air to deliver while measuring the temperature to ensure it’s doing a good job. If your AC does not turn off as scheduled or runs for irregular intermittent times, this is a sign of a faulty thermostat. Do not try to fix it by yourself. Instead, call an expert in for repair as they have a better understanding of the complex electrical components of the thermostat. If there is a sharp increase in your electricity bills, chances are your AC unit is wearing out or needs replacement. If your electric bill shoots up without an increased use in your air conditioner, it is time you got your unit repaired. The reason behind this increase in power consumption could be due to leaks in the ductwork, a faulty thermostat, or even just because it has been in use for much too long. If your air conditioner is running, yet your home feels sticky and humid, this is a sure sign that your AC unit is in need of repair. The main job of a fully functional air conditioner is to remove moisture and humidity from the air and keep your house cool. And if it’s not happening, it’s best to call for air conditioning repair. These unusual noises, whether a grinding, scraping, or squealing sound coming from the inside of an AC unit is a cause for concern. Oftentimes, this happens when an internal belt slips out of place when the unit is turned on. Do not ignore these sounds as loose pieces can damage the other internal parts of the AC unit, which could cost you quite a bit. When an AC unit struggles to keep up with its regular air flow, it is a sign that the air compressor is failing. Even if the air is still cool but the airflow is weak, there’s a chance that the air conditioner isn’t working very efficiently and has been working overtime to compensate for it. This can quickly lead to the AC burning out. This could also indicate an issue with your air duct, which may be clogged. The wisest thing to do is call in an HVAC expert for a full assessment. A pungent, musty smell coming from your AC every time it’s turned on is not a good sign. After all, your AC is not supposed to make your home stink! An unpleasant odor coming from your AC unit signals a potential insulation issue where a wire has burned out and is the cause behind the odor. Another reason could be that your AC unit or ductwork has mold build-up which can cause an unpleasant, musty smell. Don’t ignore this issue as breathing in mold and other dangerous residues can take a toll on your health. A moisture build-up around the AC unit could signal a refrigerant leak. A refrigerant is a poisonous liquid, meaning that this issue should be dealt with by a professional only. If you notice water leaking out of the unit onto your floor or a build-up of ice particles inside the AC unit along the refrigerant lines, call the AC repair guy immediately. Are you looking for an AC maintenance & repairs specialist in Fort Mill, NC? Get in touch with Penguin Cool today to see how we can help!